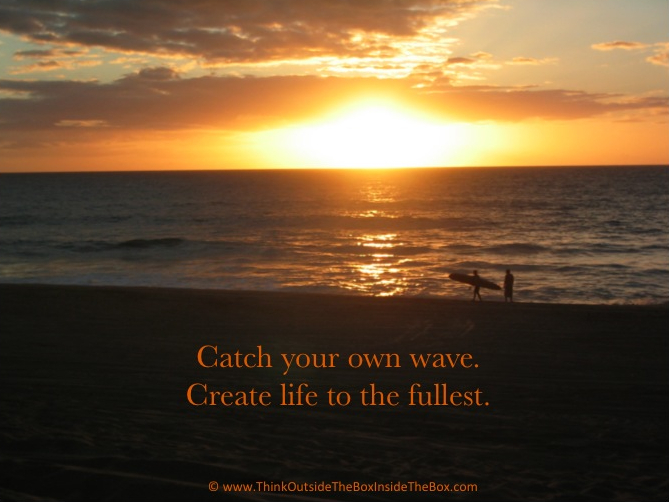 Monday Motivation — Are you creating your own waves? Are you creating your own waves? Nothing going on in your life? Create your own waves! Your life is at your disposal to do with what you want. Do you want an education? Go create it. Do you want to build something? Go create it. Do you want a new relationship? Go create it. It’s time to catch your own wave! Live your life to the fullest.